Many fitness centers offer High Intensity Interval Training (HIIT) programs. However, before you step into one of these classes, it’s a good idea to have a basic understanding of HIIT. While it’s beneficial to many, it’s not a low-impact workout. This is a workout that gets your heart rate up quickly and should only be practiced by people in good health. If you have any limitations, such as high blood pressure, pregnant, or have certain medical conditions, HIIT might not be the best choice, please consult with your doctor. Regardless of your fitness level, if you’re interested, here is some information about HIIT. This type of exercise training alternates between short bursts of high-intensity exercises followed by slightly longer periods of recovery. The pattern of high-to-low-to-high movements lasts anywhere from ten minutes to an hour. During HIIT, you complete a series of different exercises. Each of these exercise groups is designed to target a different area of the body. However, because of the cardiovascular nature of HIIT, most of the exercises performed are full body, compound exercises. 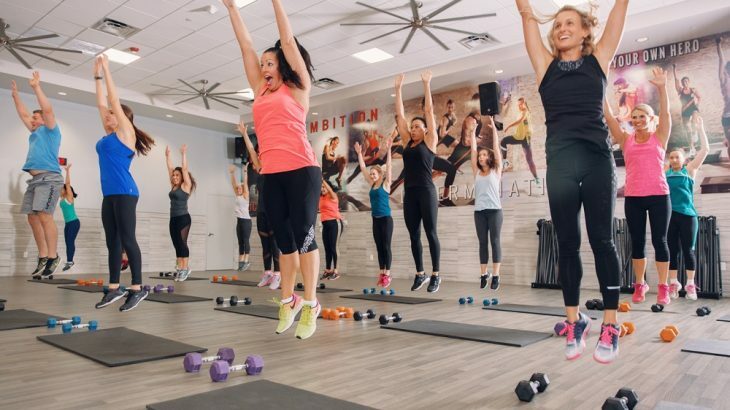 HIIT can be performed using equipment such as the TRX, rowers, treadmills and free weights; however, there are many exercises or fitness training classes in Phoenix do not include equipment. In these classes, the exercises performed use your body weight, which can be just as challenging as using equipment. Why Is HIIT Important for the Body? Unlike stationary, stagnant exercises performed at the same rate and speed for a long period of time, HIIT challenges the body and keeps it guessing. It’s a great way to increase blood flow, improve oxygen levels, and is a natural de-stressor post workout. HIIT puts the body in “crisis” mode during periods of high intensity exercises. It pushes the body to push past its limits. While HIIT is beneficial, as mentioned previously, it’s not for everyone and should you want to try, please consult with your physician first. If you’re in good health, before you begin a fitness training program in Phoenix, AZ, ask to observe a class. Mountainside Fitness offers a 5-day pass that includes all the membership amenities. Aside from observing a HIIT class, Mountainside Fitness offers this type of class at all fitness levels, so you should also try it. Determine if the type of exercises performed are something your body is ready to handle. Keep in mind that there are many different HIIT programs. For example, some include super challenging exercises for a period of 1 minute with a 30 second recovery. Other HIIT exercise training in Phoenix, AZ, might include a 10 second HIIT interval with a 1-minute recovery. If you’re a beginner, ease into a HIIT exercise training program in Phoenix, AZ. You’ll enjoy the experience more, and you’ll be more likely to stick with it, slowly increasing the intensity. Mountainside Fitness offers a variety of HIIT style classes from our Peak Performance heart rate Monitoring classes to Tabata classes with 20 second bursts followed by 10 seconds of rest, all included in your membership. To learn more about HIIT, contact Mountainside Fitness in Phoenix to speak with a friendly staff member.